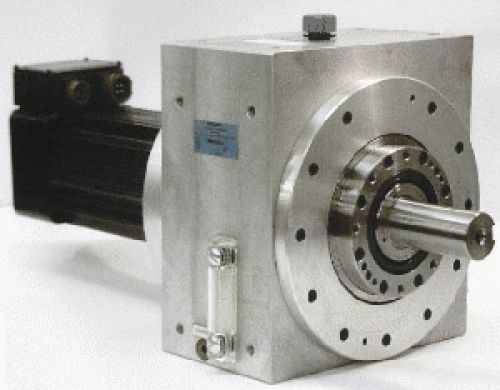 The differential series 2SRD and DLS consist of a nearly zero-backlash cycloidal gear train. They provide dynamic motion profiles including rapid acceleration rates, high speed and precise repeatability. Therefore, 2SRD and DLS differential drive systems combine the reliability of mechanics with the precision of servo-electronics. The 2SRD is mounted on the driven machine shaft, via a hollow bore; the DLS comes complete in an aluminum housing. Although this product is no longer available for new applications, Andantex continues to offer after market support and service from our facility in New Jersey. Torque capacities to 1,180 lb.ft.